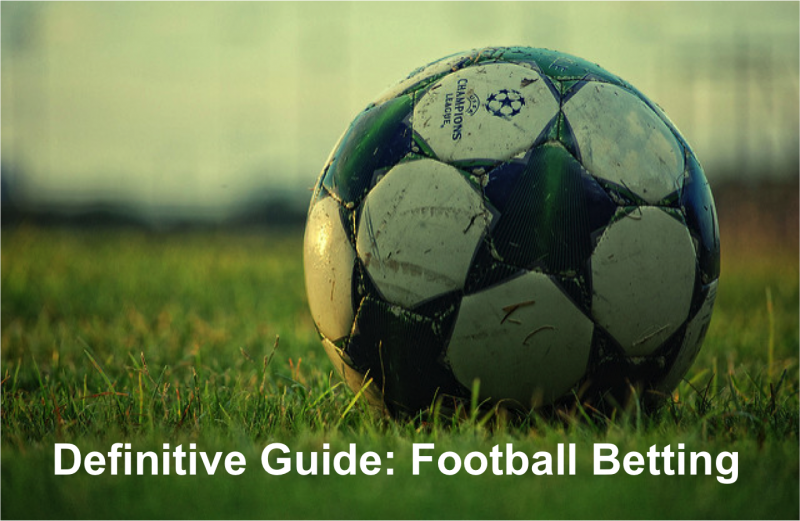 With so many different football betting markets to think about, some can get overlooked. While many will focus on the Match Result or Goal based markets that our previous guides have covered, the Corners market is one less visited by many. It can, on the face of it, seem a tough market to predict and thus profit in for the long term. This can be especially true if you are new to football betting and have never thought about using the Corners market before. In reality though, you can achieve some great results and profit when betting on corners. Of course, it is not easy and requires the usual extensive research and understanding of how it all works. It is certainly possible though and this guide aims to show you just what the possibilities are. This guide will give a complete overview of everything you need to know to make betting on the Corners market easier. Put simply, the corners market in football involves betting on anything to do with corners that might occur in a game. It covers quite a wide range from total number of corners in a game being over or under a certain amount to one team having more corners than another. These are just some of the many examples out there! In truth, the Corners market is vast and there are lots of different variations in most football matches to take on. This makes it a very dynamic market and also one where you can find some pretty good value if you look hard enough! Once you have read through all 3 parts to get a thorough understanding of what is involved, you should be all ready to make your first wager on this fantastic market! As noted above, the first part of this guide will let you know about the most popular individual Corner bets you can place. We will also look at the pros and cons of each type of bet, so you can weigh up if it is for you. This is probably the best and easiest Corner market to start with. It is especially good for beginners as it is quick to pick up. With this bet, you would be predicting that the total number of corners in a game would be over, under or bang on a set number. So, for example, if Ajax were playing Den Haag in the Eredivisie, you could bet that there would be under 10 in the game if you thought that was likely. One word of warning here though – don't ever be tempted to bet on an exact number of corners happening in a game! It is virtually impossible to call this and will see you throwing lots of money away trying too. Stick to over or under as these are far more reliable ways of winning in this market. Another very simple market to bet on here is the 'Most Corners' in a game for either team. This is great for beginners as it works exactly how it sounds so is not complicated at all. You may suspect that Barcelona will get more corners than lowly Las Palmas in a La Liga game for example. In this case, you could use this market to place that bet and, in all probability, win. A real plus point here is that, similar to the over/under market above, it can be predicted after research with a high degree of reliability. You are usually looking for teams that have a strong attack who love to cross or shoot, thus leading to corners. The team you back to get most should also be expected to dominate the game to see this outcome. As with all football betting, the only real downside is if you get a shock result or the game just doesn't pan out how you thought it would. With proper research though, this should be a rare occurrence. This is a great market to play for extracting extra value from betting on the Corners market. It works particularly well if the game you are looking at involves a strong favourite. Imagine if Brazil were playing San Marino in international football for example! For games like this, the value in the more popular markets like 'Most Corners For Brazil' may be poor; this is where the handicap market comes in! When you use this market, you are essentially starting with one team ahead or behind the other in terms of the corner count pre-game. You would then win your bet if your team were to overcome this starting handicap to have more corners in the game. In our example, Brazil may be on a -5 handicap before kick-off. This means they need to be awarded at least 6 more corners than San Marino to win the bet. Any less than that and the bet would lose, due to failing to overcome the starting handicap. If you are betting on a game where you fully expect the team you are putting your money to overcome their handicap though, it gives greater odds and flexibility to the Corner market. Following on from the traditional Corner Handicap market, there is the Asian Handicap Corners market. Although broadly similar in nature, it is slightly different. In the Asian Handicap version, there is the possibility of getting your stake refunded if the outcome is a tie as well as being able to win or lose as in the standard market. Obviously, this gives extra flexibility in this kind of handicap bet along with extra security if the bet is tied come the final whistle. If we take our last example, you would win or lose in the same way, according to the starting handicap of the team you bet on. If Brazil were awarded 5 more corners though, this is where you would get a refund on your bet due to the final number of corners cancelling out the starting handicap figure exactly. Apart from that, it works in the same way in that the team you back will have a handicap starting figure pre-game that will determine what they need to do for you to win. Once more it is worth backing strong favourites here if you fully expect them to overcome their starting handicap. One Corner market that may not be as familiar to many is this one. It is actually quite a fun one to bet on and gets you really involved in the game as it pans out. In essence, you are betting on one of the teams to reach to a certain number of corners before the other team. In Ligue 1 for example, you may believe that a rampant PSG may get to 5 corners before their opponents Metz. In this case, you would put your money on this bet and win if this does indeed happen. One of the great features of this bet is that it is another that is simple to grasp. It is also superb for in-play betting if that is your thing. Events in the match like goals can influence which team pushes forward more and is more likely to get corners. If you are betting in-play you can use this real-time information to put your money on this market. In terms of negatives, it is not as easy to predict before the match kicks off. If the favourite team (such as PSG) starts very slowly, it could see them lose the race even if they pick up later on. Another easy to understand Corner market is the total a team may get in the match. As with the 'Total Corners' market, you can usually find this as an 'Over/Under/Exact Amount' bet. The advice around this is also the same – stick to betting on 'Over' or 'Under'. An exact amount is just as hard to predict for one team so avoid it! With this bet, you are needing to look in your research at previous stats on the corners a team may have had in their last few games. It is also worth taking into account how attacking their style of play is and how likely they are to be on top in the game you are looking at. You have to know your stuff very well to put this bet on with it being tied to one team, rather than the whole match. You will usually get pretty good odds for this type of bet which is great for long term value and profit. The only real drawback is that it is one of the harder ones to predict for sure, even with the required research in place. Some of the above markets are available to bet on but only based on the 1st half outcome. While this may seem a worse idea, it actually has much to recommend it. The 1st half can offer a more predictable outcome as, apart from high scoring affairs, it hasn't been overly influenced by goals yet. This can make it easier to call some of the markets above. If you haven't before, this type of 'Half' betting can bring some great profits if done correctly. One thing to watch out for in the more specialised market like Corners is what to swerve! This can actually be more important than anything as it will protect your bank balance from disappearing on poor value bets. With so many better, markets to bet on, there really is no reason to risk your money on these. Part 2: Do Goals Influence Corners? This is quite a different mindset to get into but it is vital you do. It is totally removed from betting on the Goals market for example, where the number of corners a team might have will have little effect on the number of goals they get. When you are betting on the Corners market though, the opposite is true! The scoreline will play a huge part in the number of corners in a game or that one team may win. One team takes the lead – if one team scores to go in front, they might decide to stick with what they have and no longer push forward for another goal. This will see them win less corners in the rest of the game. One team goes behind – you can probably work out what happens here! It is the opposite of the above example – the team trailing will usually push up in search of goals and win more corners as a result. Something unexpected happens – the impact on the corner count is increased if an unexpected event happens in the match. Say for example Manchester United were totally dominating against Brighton and had gone into the lead. This might see them fancy their chances of getting a few more and get more corners as they push on. If Brighton were to take a shock lead themselves though, this could also see the corner count stack up for Utd as they lay siege to their goal in search of an equalizer. All the above information should naturally lead you to the obvious conclusion that the Corner markets are well suited to In-Play betting. That is not to say you can't bet in this market pre-game as you can and with great success. It's just that the real-time advantage that In-Play gives means that some of the Corner markets are better played when you can see what is really happening out on the pitch. If you have read any of my other guides, then you will know how much I rate having a reliable strategy and proper research in place. As a football tipster, this is one of the most important points to highlight to potential football bettors. After all, it is worthwhile knowing what markets you can bet on, but you need a way to pick winning bets too! With this in mind, please don't skip over this part of the guide as it will be the difference between long-term success or failure! By checking these key stats, you will know in your own head what the expectations are for each team, based on hard facts. This type of information is like gold-dust when constructing which bet to place. Much of what happens on a football pitch is highly dependent on who is playing for each team. This means that you should definitely find out the latest team news before you place your bet on the Corner market. Check out who might not be playing due to injury, suspension or simple squad rotation. Is one team missing or resting their best defenders? If so, the players who step in might not be good enough to block shots from the other team and send them out for a corner. What about if Liverpool are not playing Salah or Firminio? This might well see them not attack or shoot as much, leading to less corners. All these types of scenario can seriously influence the number of corners in a game or for a team, so you need to factor it in. One great tip when looking at the Corner market, that we've already touched on in our Definitive Guide to Football Betting, is to look at a team's style of play, particularly if they like to send lots of crosses in. If they do, this could see them win lots of corners in the match as they are headed or deflected out of play. Of course, if they instead like to pass their way through then this might see them not get as many. As well as hard stats and team news, a team's general style of play should be taken into account. We have already mentioned about crosses above, but do they like to attack in general? Attacking teams will usually have more corners as they are playing in their opponent's half and getting corners as a result. On the flip side, ultra defensive teams may have less as they spend less time peppering the opposition goal. Many football gamblers will look for teams who like to shoot from long range here too. This is because these long-range shots will usually be save or deflected away for a corner, leading to a higher corner amount in the game. It is also worth looking at the actual players each team usually fields. Are they a tall, physical bunch overall who score a lot from set pieces? If so, then they will probably look to win lots of corners as this is a superb chance to score for them. A team like West Brom in the Premier League are a great example of this right now. As we have already alluded too, any team who likes to play patient possession football and look to score that perfect goal are to be avoided! Their style of play means that they will not get many corners as a result, compared to a team that likes to throw it into the box often. Another factor to look out for is teams who play their wingers on the side where their weaker foot would be used to cross. They will most often cut inside to pass rather than cross, leading to less corners overall. Of course, the savvy football bettor may use this to their advantage and opt to bet on the 'Under' total team corners market for example. The problem with this is that it is quite hard to predict as, although not many, they could still get a few corners during a game. It should not be forgotten in all the reams of statistics, that football is still very much a human sport. This means that human factors can very often come into play that still have an impact on how we might bet. This is very true for the Corners market where a team may have a very different record against the one particular opponent they are playing that day. You may for example, find that Bayern Munich win or concede far more corners than they do against anyone else when playing Schalke. With this information in mind, you are well-armed to place the correct Corner bet on this game. Failing to take this type of data into account could be catastrophic and see you not be aware of vital information that affects the number of Corners seen. Carrying on with the human factor in football, it is key to check the home and away records for each team involved too. Very often, teams will play much differently if they are at their home ground or not. Some teams might get lots of corners when confident enough to attack at home but get hardly any when sitting back away. Remember to find this out before you put any money down as it really does make a big difference. If you have never thought about betting on the Corners market in football before, hopefully this guide has shed some light on the subject for you. It is actually one of the hidden gems that a lot of professional punters use to make long-term gains. With the right research and approach, there is no reason at all that you cannot do the same. As with everything in football betting, there is no magic formula as such to unlock winnings. It is just a case of finding the Corner market(s) you like best to focus on, setting your strategy out with the correct research and then sticking to your plan. Don't be tempted to change strategy every time you lose – the real secret to football betting success is sticking with a system long enough for it to bear fruit.